If you have read the other information we have provided on this site you will understand that - Forex trading is simple to learn, and anyone can acquire the skills to trade successfully. So, the obvious question you may ask is why do 95% of traders lose money? Many traders lose because they have poor methods, however many have good methods but still lose. The reason for this is - they lack the correct mindset to succeed. If you want to win at Forex trading you need the right knowledge but you also need to have the right mindset, if you don't you will lose. Here we will take a look at how to adopt the correct mindset the millionaire traders have and you need too. If you can acquire them, you are on the way to achieving currency trading success. If you want success in anything in life - including forex trading, then you must desire success. If you have desire, then you'll do what's required to succeed. If you look at any of the legendary traders, they all had desire - and they loved what they did with a passion. Currency trading success requires effort, as the rewards are immense - if you have the desire to succeed, you will acknowledge this and put in the required effort to succeed and make no mistake – the rewards for your effort can be life changing. So if you have the desire and passion to succeed then chances are you will. 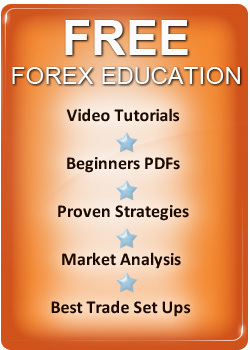 Now lets look at how to channel this desire and passion, to become a successful Forex Trader. If you have read the Forex Education section – you will have read about “the turtles” - a group of people who had never traded before but learnt to do so in 14 days and went on to make millions. They did this by working smart, NOT hard - and there is a big difference. In many jobs you get paid for the effort you put in. When you trade FOREX you earn your reward simply for being right. When you learn currency trading focus on working smart and acquiring the right knowledge and ignore all the Forex Myths which cause the bulk of traders to lose. If you work smart, you can learn to trade in just a few weeks and in under an hour a day, you could soon be piling up big consistent profits. The key to trading success is to have confidence in what you are doing - this leads to discipline and ultimate trading success. Let's look at this in more detail, as most traders never acquire these traits and lose. You hear traders talk a lot about discipline being a key to success in currency trading - but you don't hear them talk so much about confidence. However, confidence is a vital ingredient when implementing any successful forex trading strategy. We are involved in Forex Education - we can give you the tools you need to be successful – BUT you need to learn them and have confidence in them YOURSELF. To have confidence, you need to understand exactly how and why a forex trading strategy works and will continue to work. This is essential when you hit a losing streak (all traders have them even the world's best traders, so you need to be prepared for them) you need to have the confidence to stick with your forex trading system and trade it with discipline through losing periods, to ultimate long term trading success. Discipline is the key to forex trading success. If you don't trade your method with discipline – you don't have a method at all! It's not as easy to trade in a disciplined fashion as many people believe, but if you take the time and trouble to learn a method and have confidence in it, then you will be able to trade in a disciplined fashion. If you trade with discipline, you will be doing what 90% of traders don't do and you will have a trading edge. Desire, knowledge and confidence which give you the inner belief to follow your trading method and execute it in the correct manner for long term trading success. People like ourselves can help you achieve currency trading success, by giving you the tools however, the ultimate person who will determine how much money you will make is you! Fact: Anyone can learn forex trading and anyone can become a successful trader. Forex trading is a challenge, its exciting, it's fun and can offer you an income that other people only dream about so, Are you ready for a challenge and do you have the desire to succeed? If so, welcome to the world's most exciting business opportunity!